Members of the public are invited to attend as the interviews are open for public observation. The Rustenburg Local Municipality would like to notify residents of Boschdal, Safari, and parts of Cashan of the current water supply interruption, due to the pipe burst at corner Helen Joseph and Arend Streets. The technical team is on site attending to the problem, and it is estimated that the work will be complete in five (5) to six (6) hours (Work started around 08H00 this morning). 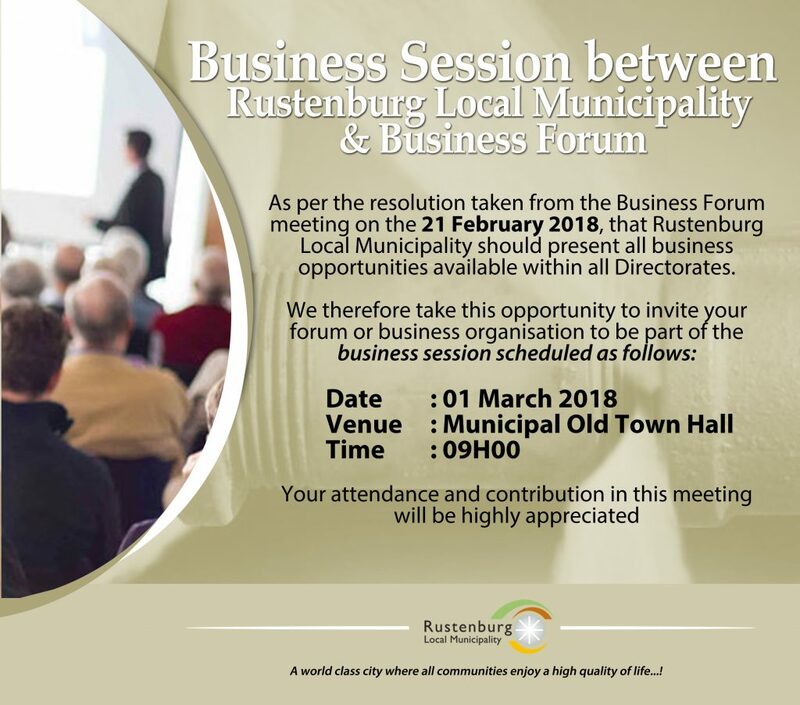 The Rustenburg Local Municipality is aware of water shortages in Bethanie, Barseba and Modikwe, and would like to inform the affected communities that we are working towards finding short, medium, and long term solution to address the ongoing problem. In the interim water tankers will be dispatched to assist and the community is advised not to engage in illegal connections as this has a huge impact to the water supply. We are experiencing high number of pipe burst in different areas around Rustenburg and are currently getting all our standby teams to attend to this problem. We will give updates as we make progress. 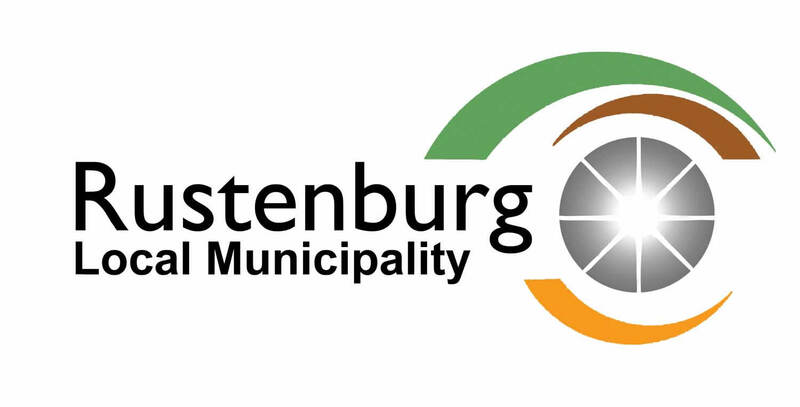 The Rustenburg Local Municipality would like to notify residents of Monnakato of water supply interruption this morning, as Magalies Water will be repairing a pipe leak next to ZCC church in Monnakato. The water supply will be restored ones the pipe has been repaired. The Rustenburg Local Municipality would like to notify residents of Greater Boitekong areas about current water supply interruption. This is as a result of a pipe burst at the Boitekong Mall. Affected areas include Ramochana, Sunrise Park, Boitekong, Seraleng, Pardekraal, Meriting and Sondela. 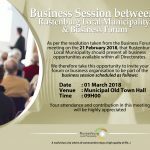 Tuesday, 13th March 2018 from 08H00 to 16H00. 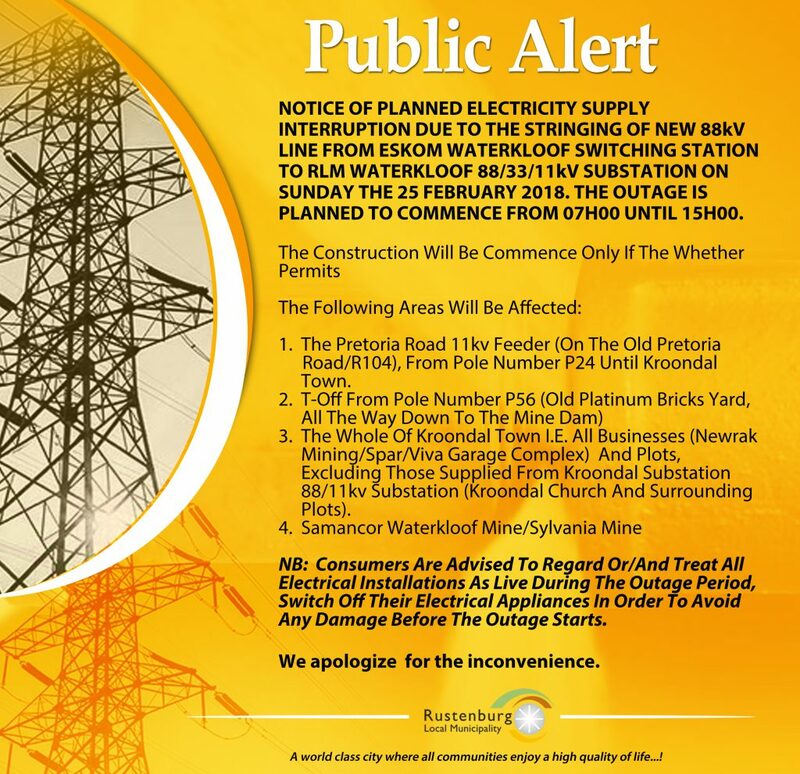 In the wake of the events that have been happening on the Electrical Network, the municipality has resolved that Eskom should commission the outstanding transformer No. 3, which has been out for refurbishment. This comes as a remedial action to the spurious outages that we have been experiencing. After commissioning we will have the full complement of four (4) transformers, instead of three (3) that we had over the last few months. However, for transformer NO. 3 to be commissioned, Eskom must switch off transformer No. 4, meaning that we will be left with a capacity of 80MVA. The outage starts at 07H30 to 16H00 today. 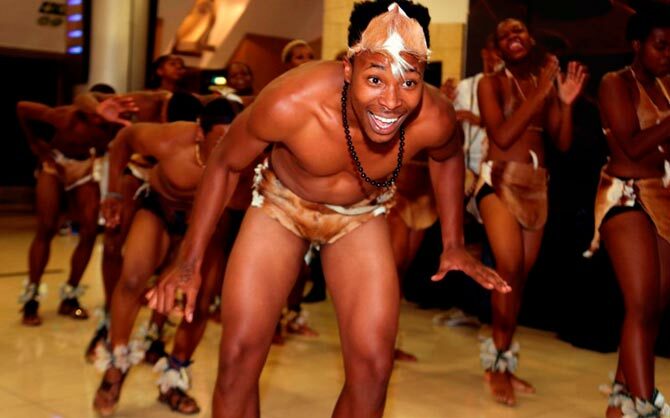 Cashan Extensions; Safari Tuin Extensions; and part of the Mall. Cashan Extensions; Safari Tuin Extensions; Protea Park; R24 Road; part of the Mall; Rietvlei; Protea Park; Geelhout Park Ext 5. Waterval East Extensions; Pretoria Road (R24); East End; Areas between Oliver Tambo and Zendeling Streets; Industrial Area East End. NB: All electrical points should be considered live, as a result of this load shedding. The cause of the outage rests with Eskom as it is not on the municipality’s side. Residents are therefore advised to exercise patience until the problem has been fully resolved. The information we received is that technicians are currently on side restoring power.